Size: 823 sq.ft. - 1824 sq.ft. Magnus is an upcoming residential concept at Bandra East, Mumbai. This contemporary residential design is being developed by Kalpataru Developers. Kalpataru Group is India's leading construction companies in India and since its existence they have provided many premium residential & commercial projects.The surrounding of Kalpataru Magnus is fenced with greens and healthy standard of living. Kalpataru Magnus is to be built over 2.24 acres of land with the layouts of 2 BHK to 4 BHK air conditioned flats with excellent features. The Magnus apartment size varies from 781/823 Sq.ft to 1824 Sq.ft. The Kalpataru Magnus was launched in May 2018 while the completion is expected in the mid of 2023. Kalpataru Group is making living standard of people easier by hosting these 3 residential towers centrally located in Mumbai. The project is designed with modular kitchen, air-conditioned living room and bedrooms, imported marble flooring and bathrooms have CP fittings with marble flooring. It include the configurations of 2 BHK (823 sq.ft), 3 BHK (1210.40 sq.ft), 3.5 BHK (1590.30 sq.ft), 4 BHK (1614.49 sq.ft) and 4.5 BHK (1824.48 sq.ft). The units are available with top class amenities that meet the expectations of the urban residents. Overall the project consists of 346 apartments and the heights of the two towers are 25+ floors and 1 tower stands 21 storeys tall with unmatched availability. The booking base prices of the flats are available from 3.5 Cr and goes upto 8.89 Cr. Kalpataru Group is an award winning real-estate Company which was introduced in 1969 by Mr.Mofatraj P.Munot. The group is expert in delivering super luxury projects in various segments like commercial properties, gated communities, Townships and residential properties. Their success began in 1970 after developing Mumbai's tallest residential tower. Kalpataru Group established the design of 1.5 BHK which is very popular. Kalpataru builder launch their projects with the choices of 2 BHK, 3 BHK & 4 BHK and the area of the apartment sizes starts from 800 Sq.ft to 3000 sq.ft. The total area of project space they have delivered is of 18 Million Square Feet while 25 Million Square Feet of area is under development level. Their most appreciated projects are Kalpataru Sparkle and Kalpataru Pinnacle where they received many awards for the same. Kalpataru Magnus has access to various social infrastructures like degree colleges, schools - Dhirubhai Ambani International School, Hospitals - Lilavati Hospital & Research Centre, Restaurants - Celini-Grand Hyatt, Shopping Centres - High Street Phoenix, Entertainment – Globus Cinema, Commercial hubs and also connects through all locations of Mumbai City via road link, metro link, expressway link and railway link. 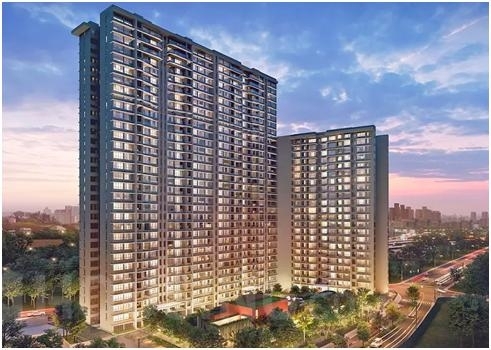 Kalpataru Magnus location comes with many advance features and is liked by every home seekers as well as developer from the last two decades.Residential properties at Bandra East are very affordable and the residents enjoy being part of the locality. Once you enter the city you will feel blissful having a wide range of residential apartments. This development region of Mumbai is in vicinity to from all necessary utilities which makes your daily commuting easy with no time. The location of Kalpataru Magnus's site is Opposite to Guru Nanak Hospital at Gandhi Nagar, Bandra East, Mumbai-400051, Maharashtra, India. At the Kalpataru Magnus you can avail multiple benefits that it offers - Swimming Pool, Pool Deck, Multi-Purpose Hall, Intercom Facility, Planting Area, Toddler Pool, Jogging Track, Garden, Water Park, 24 Hours Security,Separate Exit & Entry Gate, Clubhouse Facility, Outdoor Seating, Party Hall, Lifts & Elevators, 24 Hours Backup Electricity, Car Parking, Basketball Hoop, Fire Alarm With Fire Safety, Gym, Fully Air-Conditioned Entrance Lobby, Sports Zone and much more. 823 sq.ft. - 1824 sq.ft.